If you loved the famous Beauty and the Beast fairy tale written by French novelist Gabrielle-Suzanne Barbot de Villeneuve, then you will certainly go mad for the latest Yggdrasil product themed after the popular story. The good people of Yggdrasil created a visually impressive slot that will allow gamers to enter the beast’s castle and find out whether the story really has a happy ending. During your tour of the castle, you will be accompanied by three most faithful servants: the Butler, the Maid and the Chef, all of which carry a surprise additional feature. Beauty and the Beast offers lifetime return of 97.10%, which places it second on our list of Loosest Yggdrasil slots., just below the popular Jokerizer slot machine. Here you can play the free version of the game. If you wish to play it for real money, make sure to do that only in reputable casinos with same day withdrawals. While you spin the reels in this icy hall, you will notice that both of the main characters of the story appear in two different states – before and after the monster turned into a prince charming. So, high-paying symbols are the Beast/Prince Charming and the Beauty/Beautiful Princess. Yggdrasil decided to use precious gemstones as low-paying symbols. There is also a Wild symbol that substitutes for all regular symbols. According to the story, the witch gave the Beast a Rose that will die after a period of time. If in that period the Beast does not find true love, he will remain a monster for the rest of his life. The Rose in this particular product is used as a Scatter that triggers Free Spins and awards coin prizes. The slot pays left to right, beginning from the far left reel. To win payouts, simply land at least three matching symbols on an active payline. Betting starts at $0.20 per spin. The coin denomination goes from $0.01 to $5, so the maximum bet is set at $100. We mentioned in the beginning that the Butler, Maid and the Chef also have a particular role in the story. The Butler will nudge one reel up or down to help gamers get the best possible outcome of the spin. When the Chef appears, the three central reels will be properly synchronized as to display identical symbols. As for the Maid, she will add 2-4 extra Wilds to the reels, to secure more winning combinations. All three of these additional features are triggered randomly during base game. With three or more Rose Scatters on the reels, you will trigger the Free Spins feature and win up to 5,000 coins. During the feature, one of three servants will activate their features. You can retrigger free spins at any time, so you can get help from all three servants. The Golden Bet option can be activated at any time. 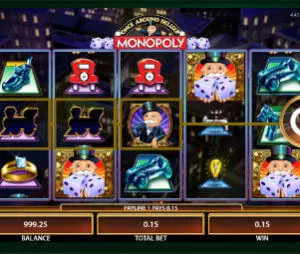 It will cost more, but it will also help you win more during free spins with the Boost option, trigger free spins more often with the Nudge option, or activate both of this options with the Boost & Nudge, which will cost you 30 additional coins. We are used to exceptional video slots when talking about Yggdrasil, and Beauty and the Beast certainly didn’t disappoint. Exceptional graphics, top-notch animations and a matching soundtrack will really make you feel as if you are standing in the very hall of this amazing castle. Due to lots of amusing and rewarding features incorporated, every single gamer will be able to create a chance for a happy ending of their own.